Apple Pay Cash is now available through all models of the Apple Watch as part of the watchOS 4.2 software update. 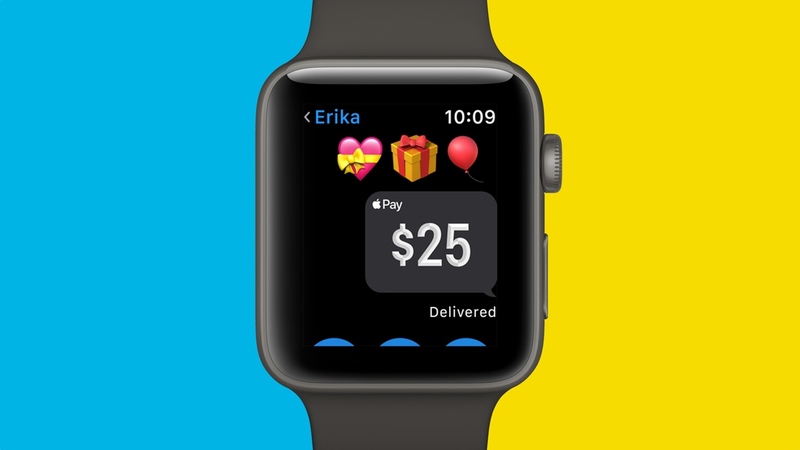 The feature, which initially came to iPhones in the company's iOS 11.2 update, is now available for users of the smartwatch in both the Wallet app and Messages app. In the latter, you're able to access Cash below the Scribble function and reply to friend's messages with up $3,000. Through Wallet, Apple Pay Cash lets you pay in apps and in stores that use the service's virtual debit card, and Siri can also be used to send and request payments with contacts. It's all pretty straightforward stuff, but let's just quickly break down the difference between Apple Pay and Apple Pay Cash, for those who aren't quite sure. Apple Pay, of course, has been available since the original Watch launched back in 2015, before receiving a wider rollout over the past couple of years. The feature essentially allows you to replicate your wallet on the wrist and take advantage of the NFC chip packed inside to make contactless payments. Apple Pay Cash, on the other hand, is the Cupertino's system for person-to-person payments, which it first debuted back at WWDC 2017 in June. So, if you want to, for example, pay your friend back for a meal out, sending the money through Apple Pay Cash means the payment is instantly deposited onto an Apple Pay Cash card added into the Wallet and available for immediate use. Just how popular the system proves to be remains to be seen, of course, but this is a positive step for anybody looking to leave their wallet behind and conduct all their financial dealings from the Apple Watch.